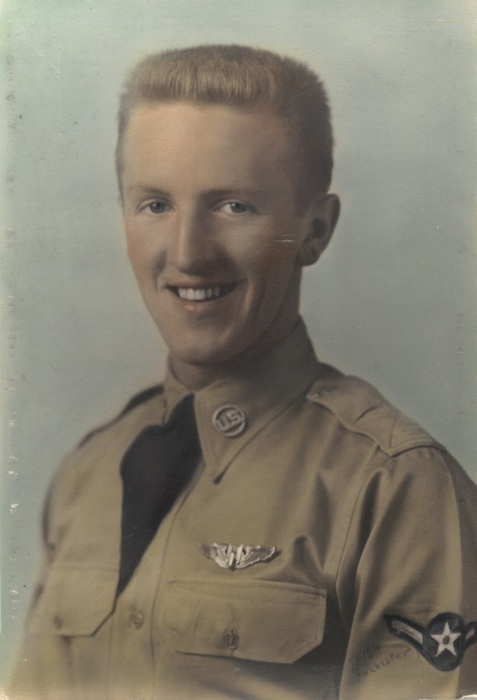 Daniel K. Warren, 86, of Spring Valley, MN, died Thursday, March 21, 2019, at home surrounded by family. Memorial services will be held 11:00 a.m. Friday, April 5, 2019, at Faith United Methodist Church in Spring Valley. Visitation will be held starting at 10:00 a.m. until the time of service. Burial will be in the Minnesota State Veterans Cemetery – Preston. Hindt Funeral Home Spring Valley is assisting the family. Daniel Knight Warren was born on September 17, 1932 in Spring Valley, MN to Marian & Roland Warren. He attended Spring Valley High School graduating in 1951. It is there he met his high school sweetheart Joyce (Bly) Warren. They later married in 1956, and had 5 children. Dan and Joyce just celebrated their 62nd wedding anniversary. He served 24 years in the United States Airforce, and later retired with the United States Postal Service. He enjoyed bowling, golfing, gardening, watching his son Joe and grandson Sam's baseball games, and spending summer vacations in the Badlands National Park in South Dakota, and making his annual driving trip to Florida every winter. He was preceded in death by parents Marian & Roland, sister Mildred, brother John, and brother Marcus. Daniel was survived by his wife Joyce, children Susan Thompson, Joseph Warren, Richard Warren, Peter Warren and Steven (Traci) Warren, his brothers James (Mary Lou) Warren, and David (Pat) Warren, a sister Sally Thompson and a sister-in-law Marilyn Warren. Grandchildren, Danielle, Lindsey, Samuel, Ann, Malia, Joshua, Thomas & William, and great grandchildren Tyree, and Amira.